To bee or not to bee…. 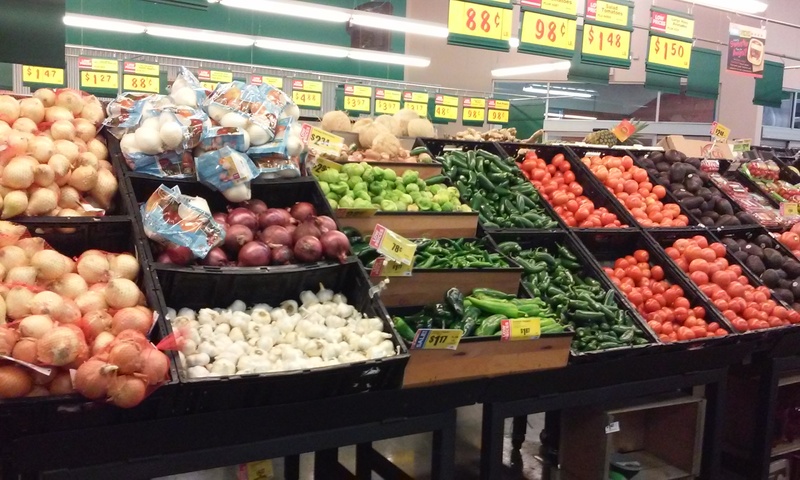 From apples and blueberries to zucchini, from apricots and broccoli to watermelons, without bees, one-third of the fruits and vegetables would disappear from our grocery stores. Birds and other creatures also depend on the fruits produced from bee-pollinated flowers, such as the berries from the possumhaw holly and even native grasses and prickly pear fruit. Worldwide, it’s estimated that 50-80% of the food that humans or our livestock (cattle, pigs, etc.) consume is dependent on bees. Honey bee out for an afternoon snack. Unfortunately, the honey bee population is in trouble, which means we are in trouble. Over the last ten years, honey bee colonies and hives have collapsed at a rate of 20-36% per year. 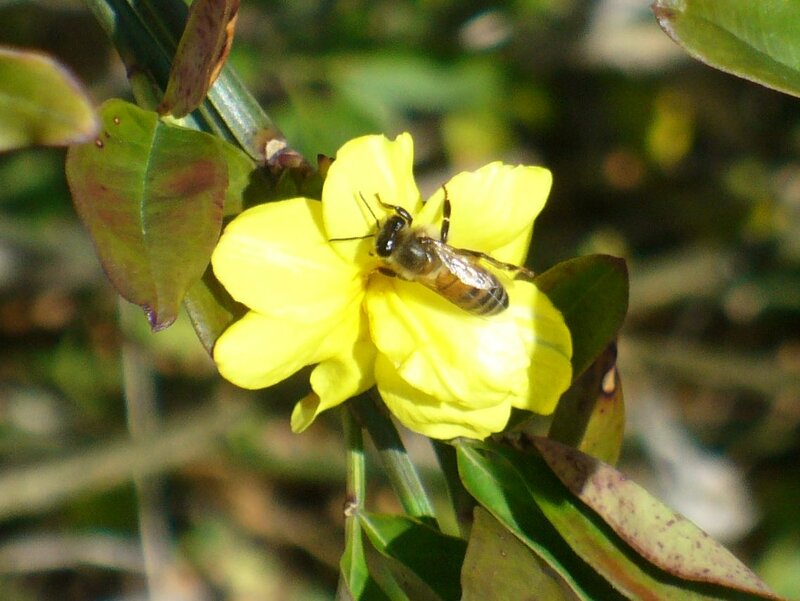 With this downturn in honey bee populations, we are relying more on the native variety of pollinators. Ever wonder about the many insects that hover in and around your flowering plants? Well there’s a whole plethora of honey bees, flies, multiple native bee varieties, butterflies, and wasps. 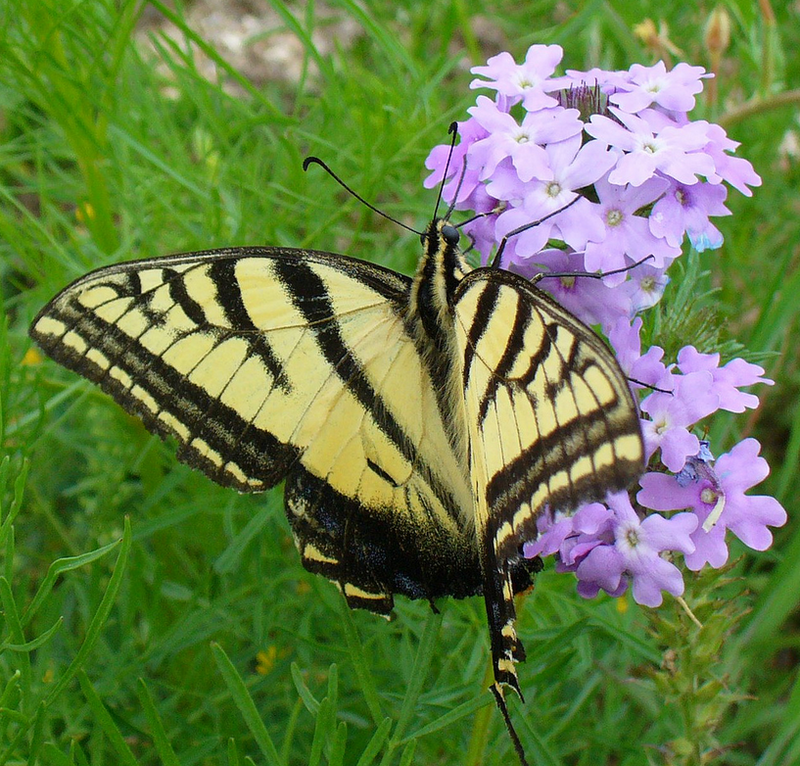 Native pollinator: Swallowtail butterfly sipping nectar from a verbena wildflower. While it is harder to measure the actual loss of native bees since the majority are solitary nesters, we can see the results of their losses with the decline of flowering and fruit-bearing plant species. 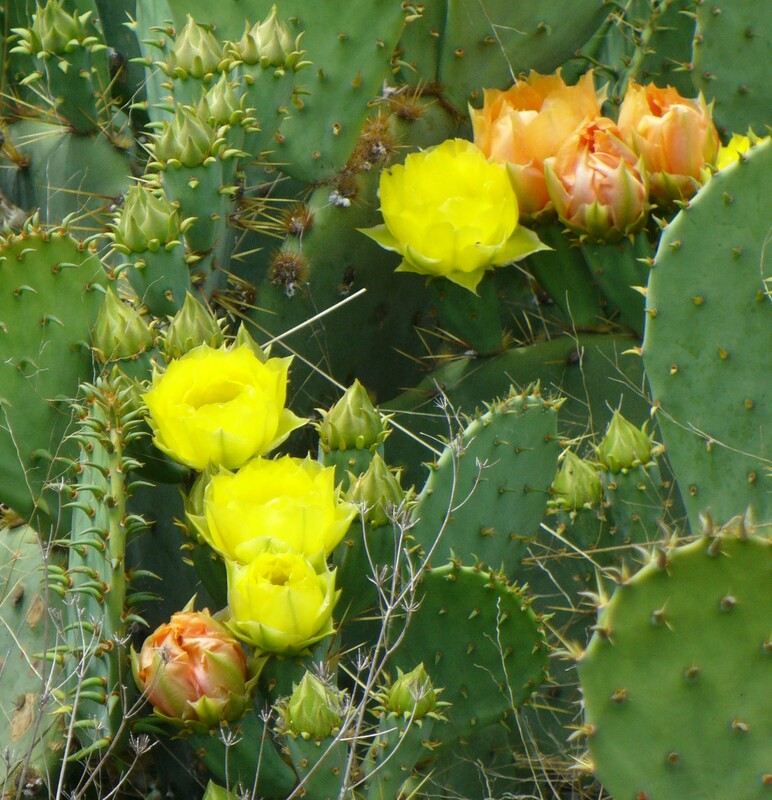 Examples include fewer berries on the possumhaw holly branches, less fruit on the Texas persimmons and prickly pears, and even fewer seeds on the grasses and forbs across the meadows. The good news is that we can do something about it. We can help them by providing a healthy habitat and increasing their chance of survival and thriving. First of all, we can stop using systemic pesticides that are absorbed by the plant through sprays, or designed into the seed itself through genetic engineering (think GMOs). These make the whole plant toxic to insects, including the blooms and nectar (These types of pesticides are typically made from nicotine-like chemicals, and we all know how bad that stuff is.) This is also why organic farms are using heirloom seeds, that have not been modified, and rely on nature’s pest controls like ladybugs and healthy soils. 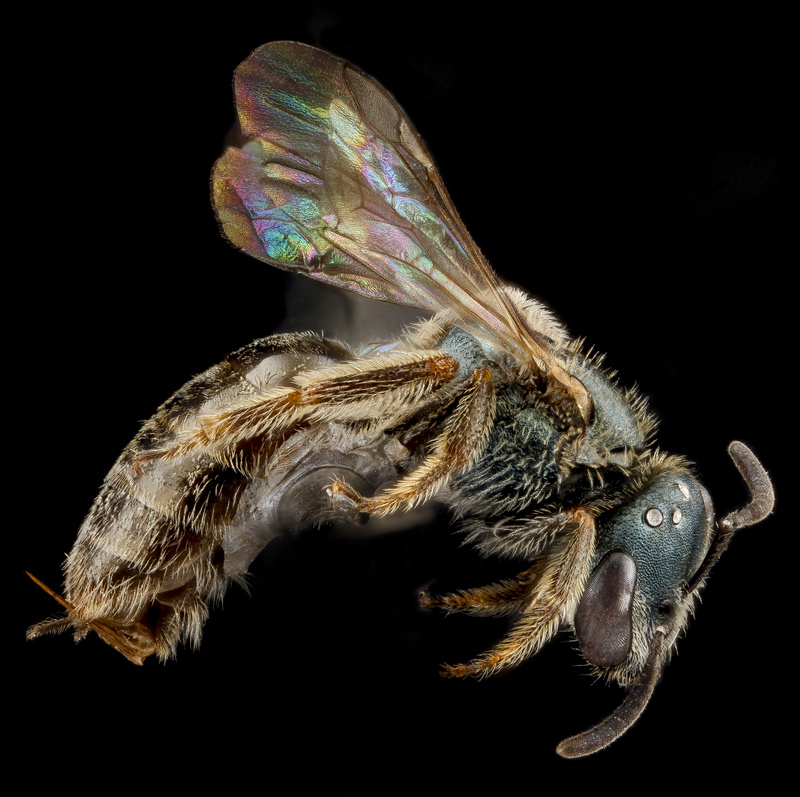 Native bee from Big Thicket National Preserve in TX (Courtesy of Sam Droege & USGS. 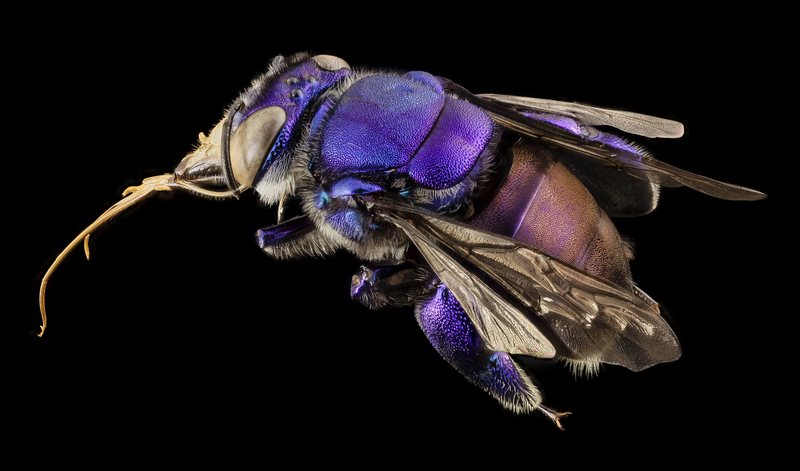 used under creative commons licensing) For more seriously cool photo close-ups of bees from around the world, check out the USGS’ bee albums. Secondly, we can plant native flowering plants and provide water for their consumption. We’re doing that at the nature center with our monarch waystation and butterfly nursery demonstration garden. Bee favorites include lantana, rosemary, all the wildflowers such as aster, anemones, bluebonnets, indian paintbrush, blanket flowers, as well as butterfly bush and butterfly weed, bee balm, salvia, yarrow, cactus blooms, flowering shrubs and trees such as Texas sage, Mexican buckeye, kidney wood, and escarpment cherry. Close up of orchid bee from Guyana — not all bees are the same. (Courtesy of Sam Droege & USGS, via creative commons licensing) For more seriously cool photo close-ups, check out the USGS’ bee albums. The third and most creative is to create bee houses. Most of our native bees are solitary. Most nest in the ground but many nest in holes where they lay their eggs in a food supply to hatch on their own. 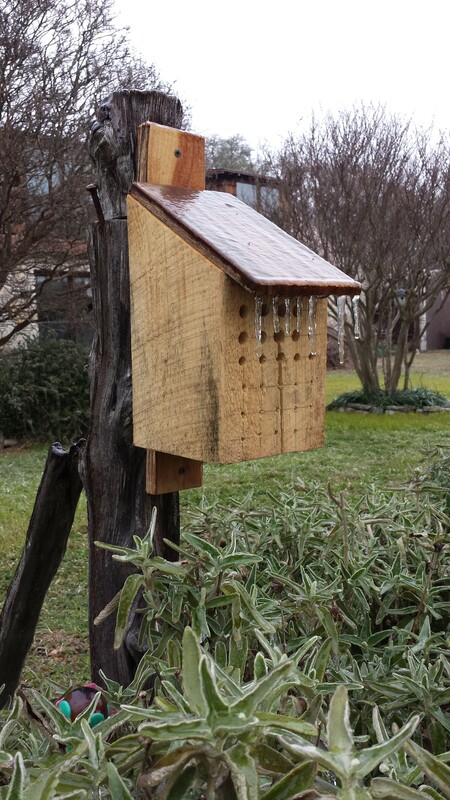 We built a number of these bee houses using some very simple tools and recycled materials, and have installed them around the nature center. Another option is to recycle a small open structure that will hold tubes for their nesting, or just bundle the tubes together with wire. For the tubes, we gathered bamboo and cut lengths from just beyond the node which provides a seal at one end. (Do NOT use plastic straws as they do not wick away moisture.) 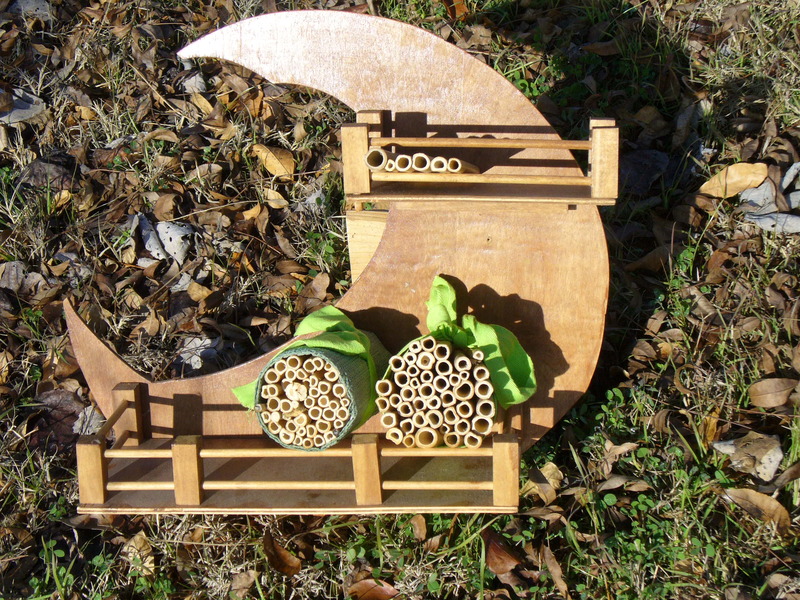 Bee houses can be quite creative and will add a piece of art to your garden. We installed the native bee boxes in full sun, with the entrance facing either south or south-east, and at least three feet off the ground with clear, easy access to the openings. When you visit the nature center, be sure to check out these neat bee apartment complexes and take home ideas for your backyard. 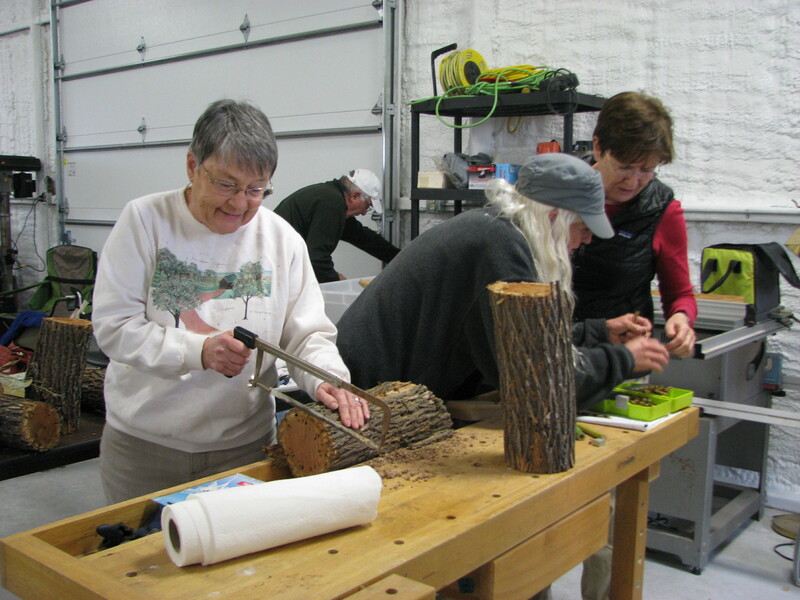 You can get lots of ideas and dimensions by googling how to build native bee houses. I particularly liked these sites: Resonating Bodies out of Toronto; if you want to get fancy, there is Arups insect hotel from London; and for the serious woodworking crowd, foxleas has bee_house designs. Previous PostA Walk on a Winter’s DayNext PostIt’s finally spring — yee-hah! !